Je bent hier: Home > Who becomes the next professional Ice Dancer? Take your auditions with Le Patin Libre! Who becomes the next professional Ice Dancer? Take your auditions with Le Patin Libre! During the Holland Dance Festival the Canadian Le Patin Libre will perform the magical ice skating show Vertical Influences seven times. 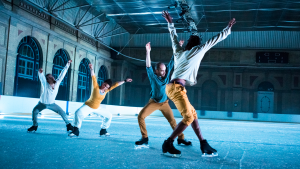 In the context of the performances in De Uithof in Den Haag, Le Patin Libre is holding auditions for highly-skilled ice skaters. Le Patin Libre is living something awesome and will grow in the next months and years. So, they will invest in the training of new skating-artists. 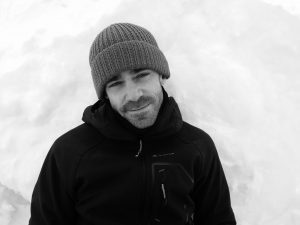 The persons who will live this adventure will discover a skating living outside « the world of skating » and developing itself in the professional network of contemporary dance. After submitting your mail and video, skaters with sufficient level are invited to audition in De Uithof in The Hague on Friday, January 26 from 11.00 to 13.45 hrs. The audition is free. If you come from afar, accommodation will be offered. Meals and travel costs are for your own account. The audition will be set up as a workshop. It is very playful, but challenges professional skaters to skate and do everything different from what they did before. The skaters of Le Patin Libre do everything they can to make the audit workshop worthwhile. As a skater this will certainly also be instructive and enriching, even for participants who do not go further on in the process. – The number of candidates is limited. In the first setup it concerns 15 skaters. – The chosen candidates must be ready to eventually live on international tours and in creation/rehearsal residences many months every year. – The first engagement of the chosen candidate will be for a participation to a series of 3 choreographic research residences between April 2018 and summer 2019. – Once elected you will receive one of the best remuneration of the domain. – persons physically ready to do intense athletic performances. Cutting edge ice dance performance, that’s what the Canadian Le Patin Libre offers. Their name says it all: free skating far removed from figure skating routines and clichés. Their latest creation Vertical Influences can be seen from the 23rd til the 27th of January in De Uithof.